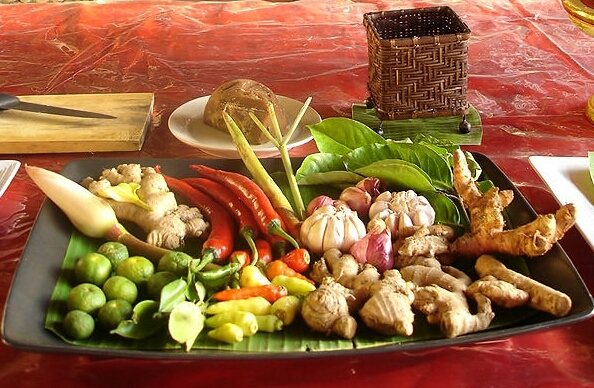 Have you ever thought to life like Balinese and experience about how Balinese people are doing everyday for Cooking? Here may some recommendation that you would love to do during your Traveling in Bali. Bali Tour Office offer you a morning activity with beautiful view of the island, traditional Balinese Villages and fascinating insight into Balinese life, beliefs and culture through learning about its food, cooking and culinary. The Cooking Class discussions are relaxed and friendly, and are hekd five times a week in the lush tropical setting of the family compound of the host. The chef and Restaurant, they include specifi references the role of food in Balinese Society, its ceremonial use and religious importance. Paerticipants learn about the exotic herb and spices used in ceremonialand everyday Balinese dishes and are encourage to actively help prepare the lavish Balinese feast that will be enjoyed with a glass or two of the local rice wine, or homemade hibiscus tea. Recipes are provide in each class and people of all ages and background can enjoy the class.